This Session will be unique. I encourage you to incorporate a special theme or idea to express the real you, or the relationship between you. I can find appropriate locations as well as studio options to best portray the image you desire. It could be at your house or backyard, park, lakefront, etc. Let me make this a special event to help you remember! Included with this session is up to an hour of photography, outfit changes, and unlimited groupings. A minimum portrait order of $375 is required with this session (details below). Done in studio or on location. When planning a baby portrait session make sure you call shortly after delivery so you can get scheduled no more than 2 weeks out. Make sure to have plenty of bottles (plan ahead for breast feeding) and diapers. The best portraits will be taken when the baby is asleep so try to schedule during nap-time. Bring any special props you'd like baby photographed with especially soft blankets. Done in studio or on location. Toddler portrait sessions are very different from newborn and you want to schedule for a time after they have eaten and napped. Please bring some favorite toys, snacks, and choose 2-3 outfits. (The more outfit changes the crabbier the baby may become.) Some children may need to be held during the portrait session so be prepared to be photographed holding the child. This is a great time for parent-child portraits! My portrait sessions have a separate fee that is paid in advance to reserve your time with me. It covers planning, consultation time, session time, and creation of the images. Where are the packages? You make your own. 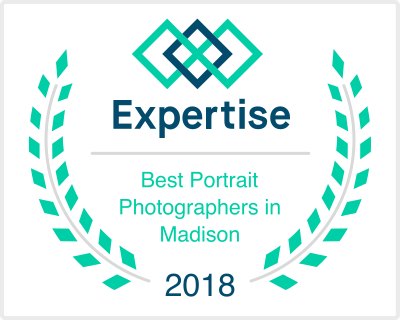 I’ve found throughout my career that not only is everyone different, so are his or her portrait needs. I could offer 10 packages and still not satisfy everyone. By having you order exactly what you want you don’t pay for things you don’t need. You are also able to order from any or all of your favorites without paying “extra pose” charges. Ultimate freedom! All my Custom portraits are beautifully retouched wherever necessary (first 2 heads no charge, $6 per additional head) to minimize facial lines and blemishes, coated for protection, and mounted on artist’s board (8x10 and larger). Masterpiece Wall Portraits are embedded in artist’s canvas and brush textured, following contours of the imagery for beautiful protection. These special touches will not only make you look your absolute best but will also keep your portrait looking that way. Glass is not necessary or recommended when framing any of your finished portraits. I’ll create a masterpiece for you printed on canvas by comfilesing classic inspiration and today’s technology. The possibilities are unlimited! Don’t forget my large selection of frames to finish your portraits! My framing experience deals especially with photographic portraits. Save money if you are considering a frame shop alternative. I don’t charge assembly fees! Within 1-2 weeks of your session I will schedule an appointment to view your images. You will have the opportunity to see all your images big and beautiful. 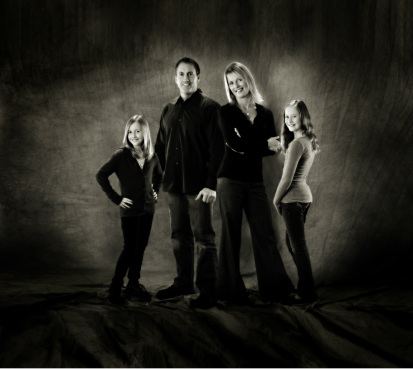 We will work together to pick out your favorites and place your portrait order. Please come with your portrait needs considered (our portrait checklist is a great tool), and be ready to place your order. 50% down is required before your order can be placed with the balance due when the order is picked up. Please allow 4 weeks for delivery. No paper proofs! Instead of trying to find your best image while looking at a small paper proof I will project them large on a screen so you can see all the critical detail necessary to make the correct decisions when choosing your portraits. You can even see your portrait at the exact size you’d like to order. If you find it impossible to make your final decisions at the time of viewing you may take home a temporary CD of your images by leaving your minimum purchase requirement as a non refundable retainer. This retainer will be applied towards your portrait order as long as the CD is returned undamaged at the time of placing your order. Portrait session fee is due when you schedule your session time. 50% down is required before your order can be placed with the balance due when the order is picked up. Please allow 4 weeks for delivery. Better than money back guarantee! If, for any reason you are unhappy with your original portraits, I will retake additional portraits to your liking at no cost to you, or refund your entire session fee. Plus, if your finished portrait order doesn’t turn out exactly as you thought it would, I will remake them to your liking. I must be notified within two weeks of pickup. THE COPYRIGHT ACT protects photographers by giving the author of the photograph the exclusive right to reproduce your photographs. This includes the right to control the making of copies. It is illegal to copy or reproduce these photographs elsewhere without our permission, and violators of this Federal Law will be subject to its civil and criminal penalties. We will try to accommodate all reasonable requests. Please feel free to discuss your needs with us so that we may have the opportunity to serve you better.